Are you trying to record video footage from the screen of your Windows 10 PC? While screen recorder can be a useful way to create demonstrations, save video calls or capture online streaming videos, many screen recorders are complicated and difficult to use. Assuming you’d like to be able to quickly and easily start to record your screen, you should give Movavi Screen Recorder a whirl. It is a simple screen recorder for Windows 10 that has all the essential features you’ll need to record exactly the footage that you want from your screen. If you’re ready to get started, launch Movavi Screen Capture Studio and select the ‘Record Screen’ option in the launch window. Then, use your mouse cursor and trace a frame over the part of your screen that you want to record. If you want you can adjust the frame afterwards, or use the presets in the interface. 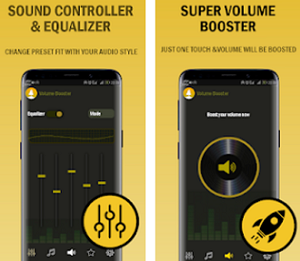 To set the audio source that you want to record, make sure the ‘System Audio’ or ‘Microphone’ icons are highlighted respectively, and adjust the slider beside each to control its volume. Additionally you could also use the features in Movavi Screen Capture Studio to set the frame rate, capture keyboard and mouse actions, or automate the recording. When you’re ready, press the ‘REC’ button on Movavi Screen Capture Studio’s interface to start recording and then hit ‘Stop’ when you’re done. The video that you recorded will automatically be saved in MKV format, and a ‘Preview’ window will open that will allow you to go over it, save it in a different format, or open it in the built-in editor. Should you open your video in Movavi Screen Capture Studio’s editor, you’ll have a wide range of features and tools that you can use to compile, edit and improve it further. 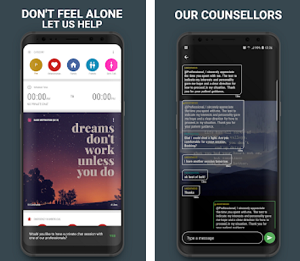 It will let you cut and join video segments, enhance the quality of your video, fix any issues, apply filters and effects, add captions, include audio tracks, insert animated transitions, and more. 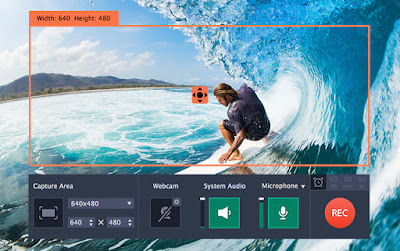 Suffice to say Movavi Screen Capture Studio won’t just let you record your screen on Windows 10, but will equip you with the features that you need to actually produce high quality and professional-looking content from that footage. Rest assured even its editing tools are user-friendly and you’ll be able to familiarize yourself with them quickly. At the end of the day if you’re looking for a comprehensive screen recorder that you can use on your Windows 10 PC – Movavi Screen Capture Studio won’t disappoint. Naturally you may be skeptical, so be sure to try it out firsthand so that you are able to see what its features are capable of.